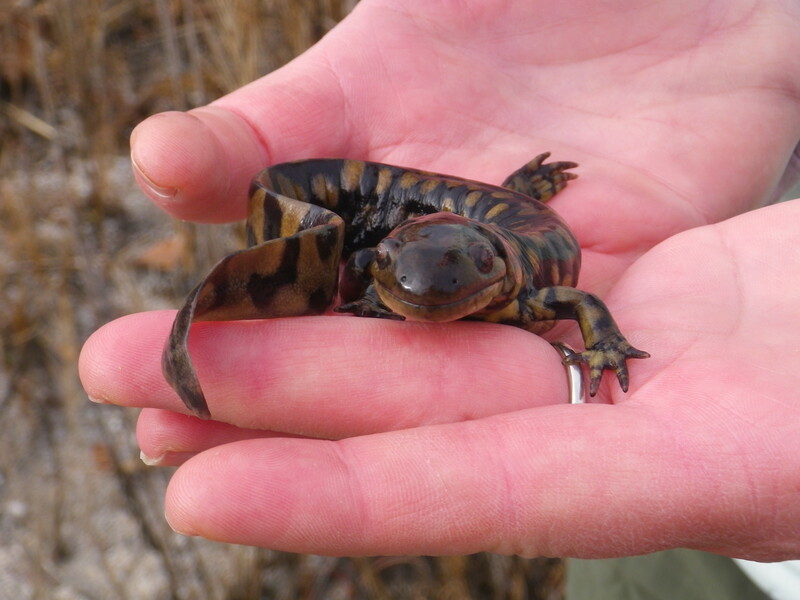 Conserve Wildlife Foundation proudly partners with Atlantic City Electric to help protect New Jersey’s rarest amphibian, the Eastern Tiger Salamander. The survival of Eastern Tiger Salamanders is threatened by sea level rise, over-development of critical habitat and climate change. We are working together to build a vernal pool along a portion of Atlantic City Electric’s transmission right-of-way in Cape May County. Vernal pools hold water in the winter and spring, but dry out during the summer months. 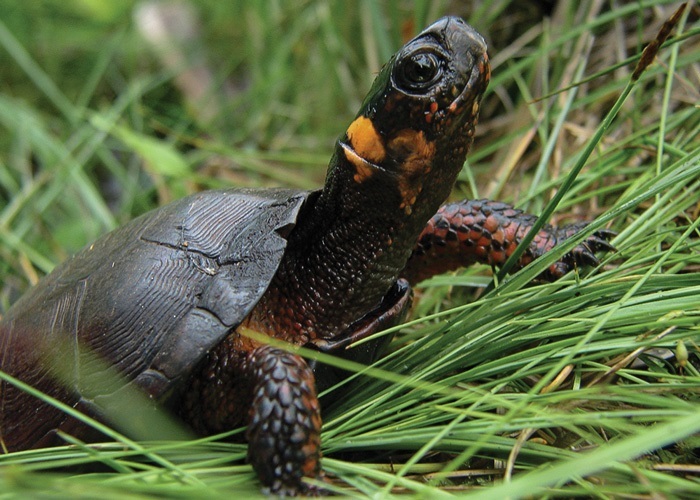 Since fish cannot live in vernal pools, salamander eggs are not in danger of being eaten. We are hopeful that these ideal breeding conditions will aid Eastern Tiger Salamander recovery over time. Last Friday, Conserve Wildlife Foundation biologists and other state biologists took Eastern Tiger Salamander egg masses from a productive pool and placed them into the new vernal pools. 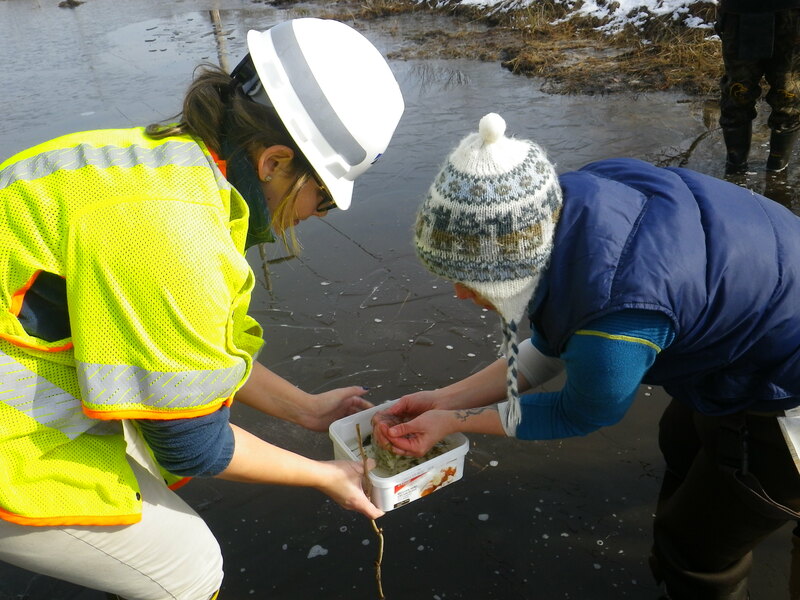 Christine Melillo, Pepco Holdings and NJDEP Division of Land Use Regulation biologist Karena Dileo moving salamander egg masses.